A joint venture of major Hollywood studios has released a draft for a HDR specification specially for cinema screens. The specification specifies a 12-bit color-depth, a minimal active black level of 0.005 cd/m² and a displayed luminance of 500 cd/m². Currently there is no HDR standard for movie theaters and the Digital Cinema Initiative (DCI), a joint-venture of Metro-Goldwyn-Mayer, Paramount Pictures, Sony Pictures Entertainment, 20th Century Fox, Universal Studios, The Walt Disney Company and Warner Brothers, hopes to change that. 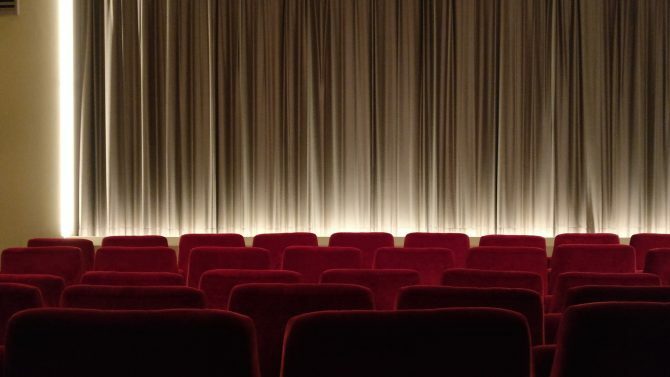 Besides the new HDR standard, the DCI is also working on new requirements for cinema screens that should make it possible to display 2K content with frame-rates of up to 120 frames per second in 2D. With the new specifications, it appears cinemas are getting ready to stay on par with TVs used at home. Televisions also get higher color-depths, support HDR and larger color gamuts. With HDMI 2.1, it will also be possible to display content at 120 frames per second. Currently the HDR specification for cinemas is still in draft version 0.9. When the DCI will release the final version, is unknown.